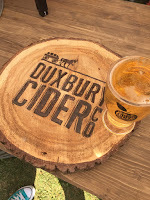 Home / Events / Cider for All! What a perfect day! 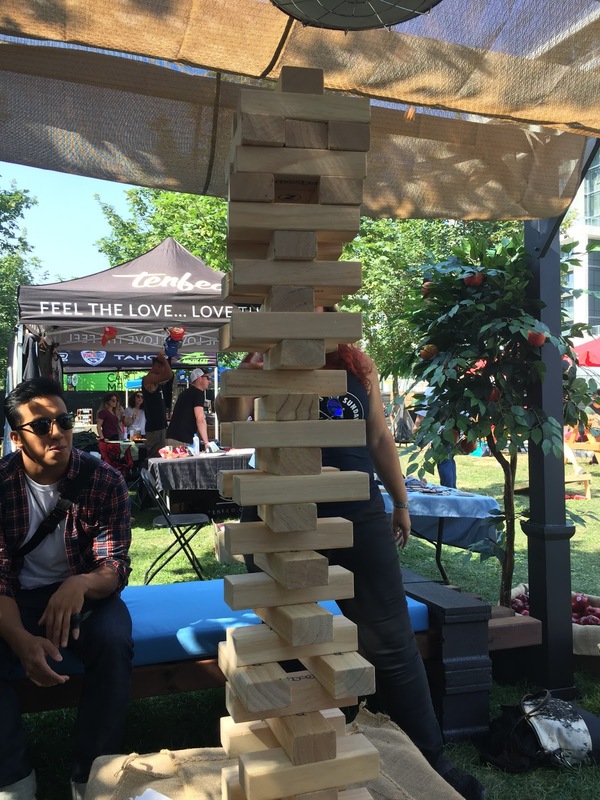 The Toronto Cider Festival went off without a hitch! The weather was great and the crowd was thirsty. I was lucky enough to try a bunch of new ciders from cideries I'd never tasted. I'll definitely be on the lookout at the LCBO for my new favourites! It was a busy afternoon, but not so busy that you couldn't walk around. There could've been more seating and more shade, but that's really the only complaint. The cider was cold, the vendors were friendly, the art showdown was fierce, the music was good, food was tasty and the games were fun. It really couldn't have gone better. Any lines went very quick! It was great! 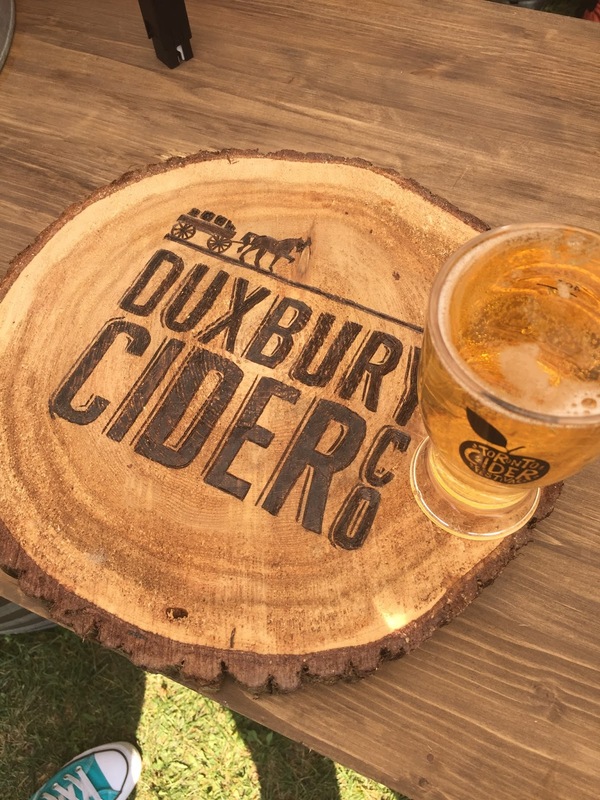 A few honourable mentions for the new delicious ciders I tasted: Waupoos, Duxbury, No Boats on Sunday and Collective Arts. Granted, I didn't get to try ALL the ciders, but these were dang good. Many of the cideries and crazy flavours, not ones I would've expected in ciders. I've had peach, pear and cherry ciders, but have you had coffee cider? Or Elderberry? Pear & lavender? There were so many unique flavours there; it was hard to decide! The food there was absolutely perfect pairings with cider. My choice was a Pulled Pork Grilled Cheese from Meltdown Cheesery. 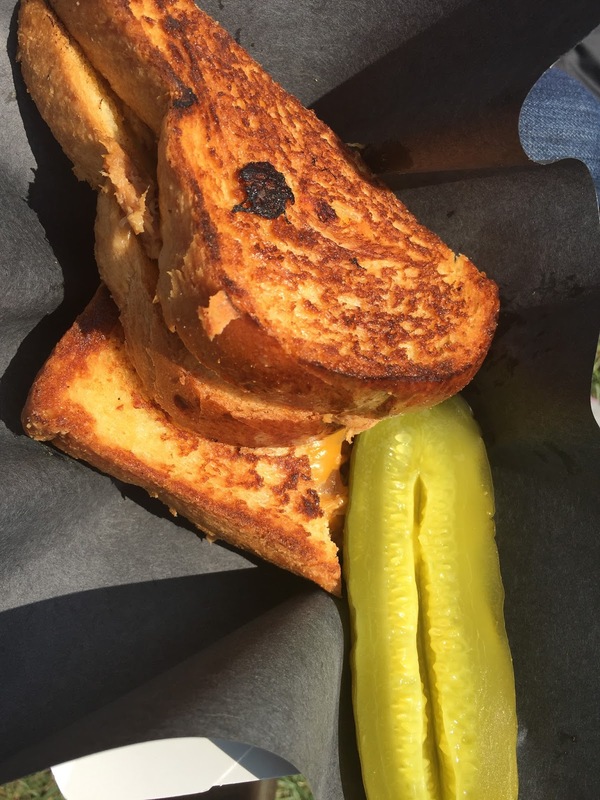 Crunchy, cheesy, bursting with pulled pork AND came with a giant pickle. Loved it! Hope I see them again at another festival! There was also Smoke's Poutinerie, Mustashe Burger and Los Vietnamita. 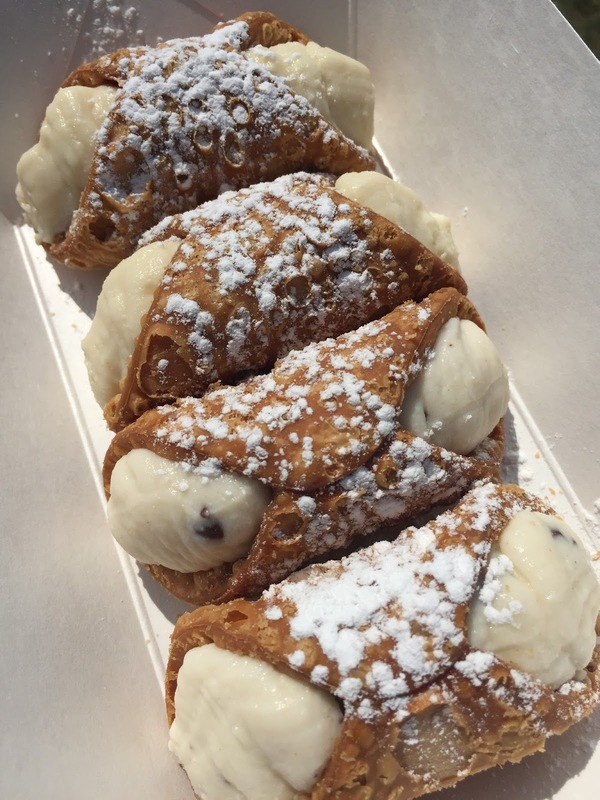 For dessert, we popped by Holy Cannoli. Since we were drinking sweetness all day, I was worried about getting a sugar overload, but they saw this coming! They had 2 kinds, Vanilla Chocolate Chip and Maple, but neither of them were sweet; they were just right! All in all, a great experience for my first cider festival! I understand why it sells out every year! Can't wait until next year! Don't miss it!